Thomas A. Dorsey learned his religion from his Baptist minister father and piano from his music teacher mother in Villa Rica, Georgia, where he was born July 1, 1899. He came under the influence of local blues pianist when they moved to Atlanta in 1910. He and his family relocated to Chicago during World War I where they joined the Pilgrim Baptist Church, and he studied at the Chicago College of Composition and Arranging and became an agent for Paramount Records. He began his musical career known as Georgia Tom, playing barrelhouse piano in one of Al Capone’s Chicago speakeasies and leading Ma Rainey’s Jazz band. He hooked up with slide guitarist Hudson Tampa Red Whittaker with whom he recorded the best selling blues hit, "Tight Like That," in 1928 and wrote more than 460 Rhythm and Blues and Jazz songs. He was soon whipped into shape to do the Lords will. Discouraged by his own efforts to publish and sell his songs through the old method of peddled song sheets and dissatisfied with the treatment given composers of race music by the music publishing industry, Dorsey became the first independent publisher of black Gospel music with the establishment of the Dorsey House of music in Chicago in 1932. He also founded and became the President of the National Convention of Gospel Choirs and Choruses. He wrote his classic and most famous song, "Precious Lord" in the grief following the death of his first wife in childbirth in 1932. It since has been recorded by such diverse artists as Mahalia Jackson, Tennessee Ernie Ford, Roy Rogers and Dale Evans, and Elvis Presley, and was the favorite Gospel song of both Dr. Martin Luther King, Jr., who asked that it be sung at the rally he led the night before his assassination, and of President Lyndon B. Johnson who requested that it be sung at his funeral. Almost equally well known is his "Peace in the Valley," which he wrote for Mahalia Jackson in 1937. In October of 1979, he was the first black elected to the Nashville Songwriters International Hall of Fame. In September 1981, his native Georgia honored him with election to the Georgia Music Hall of Fame; in March 1982, he was the first black elected to the Gospel Music Association's Living Hall of Fame; in August 1982, the Thomas A. Dorsey Archives were opened at Fisk University where his collection joined those of W. C. Handy, George Gershwin, and the Jubilee Singers. Summing up his life, he says all his work has been from God, for God, and for his people. Most observers believe that gospel music has been sung in African-American churches since their organization in the late 1800s. Nothing could be further from the truth as Michael Harris's history of gospel blues reveals. Tracing the rise of gospel blues as seen through the career of its founding figure, Thomas Andrew Dorsey, Harris not only tells the story of the most prominent person in the advent of gospel blues, but also contextualizes this powerful new musical form within African-American religious history and significant social developments. Thomas A. Dorsey, also known as "Georgia Tom," had considerable success in the 1920s as a pianist, composer, and arranger for prominent blues singers including Ma Rainey. In the 1930s, Dorsey became involved in Chicago's African-American, old-line Protestant churches, where his background in the blues greatly influenced his composing and singing. 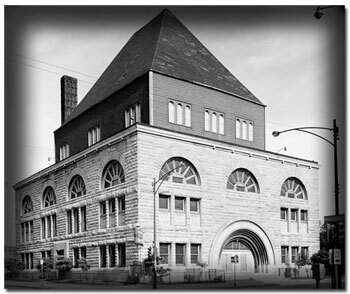 At first these "respectable" Chicago churches rejected this new form, partially because of the unseemly reputation blues performance had, but more because of the excitement that gospel blues produced in the church congregation. A controversy developed between two conflicting visions of the role of the church in African-American society. One segment envisioned an institution that nurtured a distinct African-American religion and culture; the other saw the church as a means by which African Americans would assimilate first into mainline American Christianity with its sharply contrasting worship demeanor and second into the dominant Anglo-American culture. However, by the end of the 1930s, the former group had prevailed, because of the overwhelming response of the congregation to gospel blues. From that time on, it became a major force in African-American churches and religion. The Original Virginia Boys and the early days of radio.